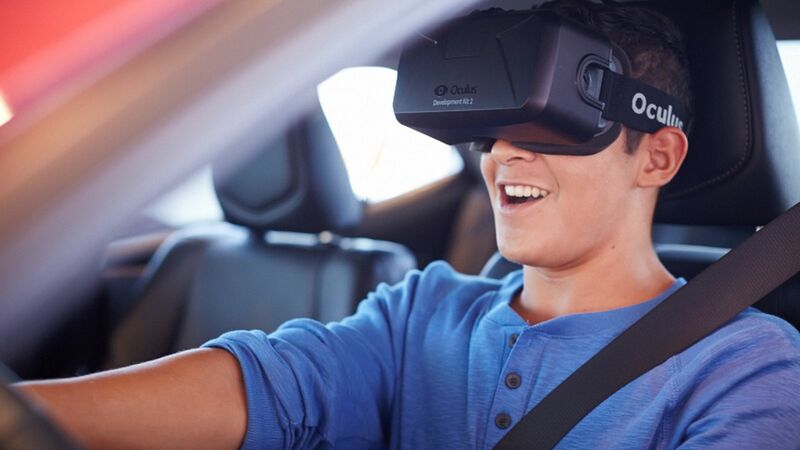 Developers are finding a wide variety of different uses for the Oculus Rift virtual reality headset, and Toyota has demonstrated its TeenDrive365 distracted driving simulator. Participants sit down in a stationary car wearing an Oculus Rift headset, taking them through a simulation that involves multiple distracted driving scenarios. Scenarios include other vehicles on the road, in-vehicle passengers, radio, and text messages - with drivers suffering the "consequences of distracted driving within the virtual setting," providing a more realistic view of everyday distractions that drivers face. "Oculus Rift provides a virtual reality driving experience that mirrors real life behind the wheel, giving us a powerful, one-of-a-kind way to show parents and teens how everyday distractions can affect their ability to drive safely," said Marjorie Schussel, corporate marketing manager of Toyota, in a statement to the media.